Posted on January 30, 2017 by Elaha N.
For most prominent celebrities, authors, or personalities, the former nouns are essential to their ways of life. However, what happens after a renowned author loses all of their fame and glory? Anna Seghers, one of the most important German woman writers of the 1900s, definitely knew the answer to that. Before her untimely death, Seghers wrote many outstanding novels during World War II. Her most popular novels included The Excursion of the Dead Girls, Transit, and The Seventh Cross. Laden with beautifully-developed symbols and leitmotifs, each of her novels condemned Fascism, especially German Fascism under the influence of Adolf Hitler. 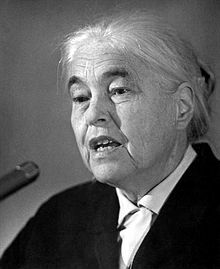 Although Seghers herself lived in Fascist Germany for a while, she despised any form of Fascist totalitarianism. Her novels are a clear indicator of her anti-Nazi sentiment. Her novels were loved by many people all around the world. Citizens of Allied countries (during and after World War II) read her works fervently as they also fought against Fascism in Europe. It was near the end of Seghers’ literary career that she started to lose both fame and glory. Although she fought against totalitarianism in Germany, she soon became a part of the Soviet Communist party while in exile. Simultaneously, Seghers condemned Nazism and preached the tenets of Communism. After Hitler’s death and the end of the war, Seghers resided in the Soviet-controlled part of Germany. She tenaciously stuck to Communist beliefs, even after Stalin’s infamous show trials, where more people were killed than during the Holocaust. Almost immediately, all of her avid readers in the West were lost. Her American and liberal German readers lost interest in any of her other works. Anna Seghers went from a literary “hero” who fought against Fascism to a “traitor” who only carried on totalitarianism. Seghers became a “spiritual” follower of Communism, taking part in Soviet politics and condoning the deaths of millions of people. Never again were her books ranked as national best-sellers. After her literary decline, Seghers only published two more novels; however, they did not receive any recognition at all. It was not a matter of how well her works were written; rather, it was a matter of what her novels stood for. Anna Seghers was a phenomenal author; there was no doubt about that. However, it was what her novels preached that led to her gradual decline. Seghers’ unfortunate tale leads us to a very important conclusion: Individuals must always fight against tenets of evil and fight for tenets of good. 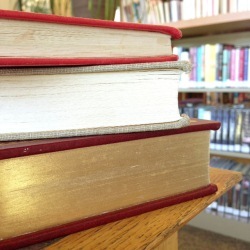 Posted on May 27, 2013 by Kelsey H.
I rediscovered these classic books, and really enjoyed all of them! I thought I would share some of my favorites with you and maybe even persuade you to read them. This is my “Top Ten List of Classics,” counting down to my favorite. 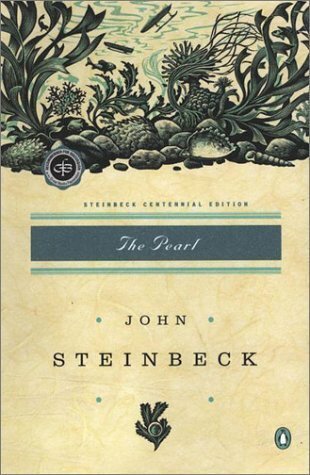 Steinbeck’s descriptive writing landed this book on my top ten list! This story is about a man named Kino who lives in poverty with his wife Juana, and his baby son, Coyotito. Kino is a pearl diver and one day he finds a giant pearl that changes his life completely. A story about greed and wealth versus generosity and humble living, this novella should not be missed! This novel is written in the perspective of a horse named Black Beauty. Black Beauty tells of his struggles and triumphs, from the time he was born to the time he retires from pulling taxi-cabs. My heart was moved both with Black Beauty’s cruel owners and with his loving ones. The author does a great job of putting everything in a horse’s view. A famous success, this novel is a great read for any animal lover! Posted on May 17, 2013 by Sarah B. 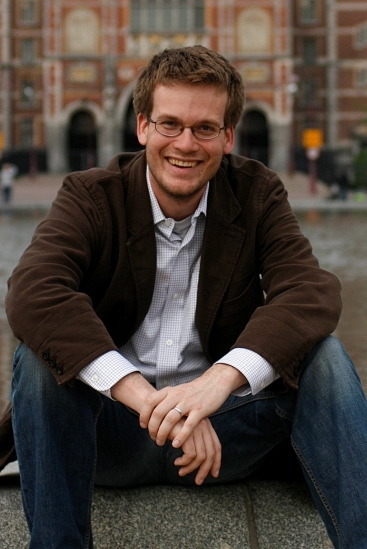 One of my favorite contemporary authors by far is John Green. He has inspired me to become an author myself. He primarily writes young adult fiction. He is also well known on Youtube for his channels Vlogbrothers and CrashCourse; both of which are shared with his brother Hank Green. His works include but are not limited to: The Fault In Our Stars (which is set to become a major motion picture), Looking For Alaska, and Paper Towns. The Fault In Our Stars is John Green’s most recent novel. It was published in 2012 and was ranked #1 on The New York Times bestsellers list. The title is an allusion to Shakespeare’s Julius Caesar. It is centered around the romance of two cancer-afflicted teenagers, Hazel Grace Lancaster and Augustus Waters. 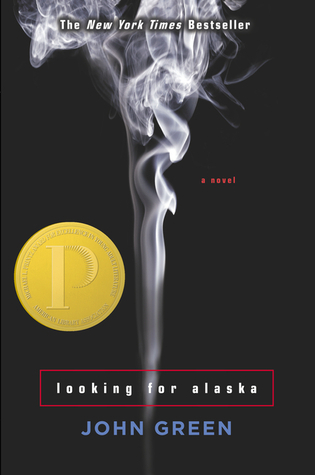 Looking For Alaska is John Green’s first novel. It was published in 2005 and won the Michael L. Printz Award for Excellent in Young Adult Literature in 2006. It is a novel of firsts. It documents Miles “Pudge” Halter’s junior year of high school. Miles is obsessed with famous last words. He transfer to a boarding school in Alabama from Florida upon Francois Rabelais’ last words: I go to seek a great perhaps. The greatest “perhaps” is, in my opinion, Alaska Young. Alaska Young is an emotionally unstable girl with whom Pudge thinks he is in love. He never fully comprehends who she is until it is too late. She asks Pudge how will you ever get out of the labyrinth of suffering, which were the last words of Simon Bolivar. At the end of the novel, Pudge concludes that the only way out of the labyrinth of suffering is to forgive. 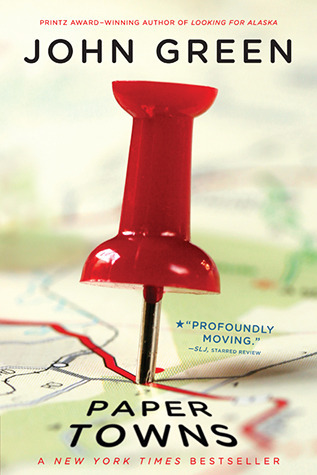 Paper Towns is John Green’s third novel, published in 2008. It won the 2009 Edgar Award for the best Young Adult novel. It tells the story of Quentin “Q” Jacobsen, a high school senior in Florida. Q has been in love with his neighbor Margo Roth Speigelman since they were kids. They have since then grown apart but it is not until one night Margo asks for his help that they reunite for an adventure of a lifetime. Q unknowingly helps Margo bid farewell to her life in Florida. The very next day, Margo runs away from her “paper town.” Q follows the clues she didn’t intend to leave in order to find her. Q comes to understand Margo through her clues but it is not until he finds her that he truly understands that she is not a mystery after all. There are many parallels between Looking For Alaska and Paper Towns. Alaska very well could have been the mold for Margo. John Green is one my favorite authors not because of the stories he tells but rather because of the messages he conveys. His simple yet profound statements have continued to capture my curiosity and admiration. As they say in John Green’s hometown, don’t forget to be awesome! Posted on April 26, 2013 by Sebastian R.
I have long maintained an affinity for words, a love of reading and language itself. To a large degree, my passion has been sponsored by my education in the arts of literature and composition, a trend has persisted even to this, my sophomore year of high school. Since last September, my classmates and I have chronicled English literature as it has developed throughout the ages. From a linguistic standpoint, it has been extremely interesting to see the advances of our language in vocabulary and syntax, yet even more so the changes in storytelling and style have enthralled me. As the year began, we delved into the ever-classic Beowulf. Though not as ancient as The Odyssey or tales of other archaic civilizations, the epic emanates a similar air of inhumanly heroics, which, although often unacceptable to modern audiences for its lack of realism, is enjoyable for its archetypal characteristics. As with many if not all of the works I will discuss, Beowulf is a true portal to another time, imparting on the reader the same awe which the people of old felt in experiencing the tale of this epic hero. Moving from the Danish isles to those of England, we next read Sir Gawain and the Green Knight. Marking the beginning of the presence of knighthood, the tale is one of many surrounding King Arthur and his Round Table. Exemplary in its symmetrical structure and symbolic usages, Sir Gawain most notably gives insight into the values and beliefs of the time. Yet these are perhaps the most outstanding qualities of the work; in reading Sir Gawain, one comes to understand the values of chivalric times, if not the plot, story, and other thematic elements. From here we read a few books and the prologue of Chaucer’s immortal Canterbury Tales. As opposed to the anonymous composers of the retrospectively conservative aforementioned tales, Chaucer is revolutionary, a critic of the age’s corrupt church. This quality of subtle rebellion has resounded throughout history in various arts. Furthermore, in addition to providing an accurate representation of the social structure of England at the time, Chaucer’s writings, the Miller’s fabliau, the Pardoner’s allegory, are truly entertaining. Shakespeare furthers the role and characteristics displayed by Chaucer in his tragedy, Othello: Moor of Venice. Novel in its portrayal of an African as its protagonist, the work explores racial and gender themes, and is notable for these characteristics. Yet most riveting is the tragedy’s antagonist, Iago, a deceitful and charismatic villain who, despite leaving his motives unstated, acts solely to rue Othello with such spite and yet such cunning that the audience is singularly and wholly captivated. Our penultimate novel then was Jane Eyre. Moving to the near-modern age, Ms. Brontë’s novel is romantic, a true pleasure in which to delve, except for its lengthiness. This faux-autobiography is unique in the lot of works that have been discussed for its first person perspective, which provides a unique look into character not seen previously. In many ways an aspersion of Victorian beliefs and customs, Jane Eyre resembles Jane Austen’s Pride and Prejudice as a tale of true romance, and though occasionally melodramatic, is enjoyable for this purpose. As we now look to end our year with Darles Chicken’s A Tale of Two Cities, I believe I have come to truly appreciate English literature as a whole. The diversity of the genre’s development has been incredibly interesting to observe, yet textual analyses aside, I have become engaged in the stories and have transported myself to other times. Yes, the texts have been dense and at times dull, but overall this escapade has been well worthwhile.